This infusion always reminds me of early summer, eating ripe strawberries and sitting on the deck. The basil adds a nice hint of spice to the infusion. This rum goes great in mojitos and rum punch but I really like it in a fizz to cool me off on a warm summer day. 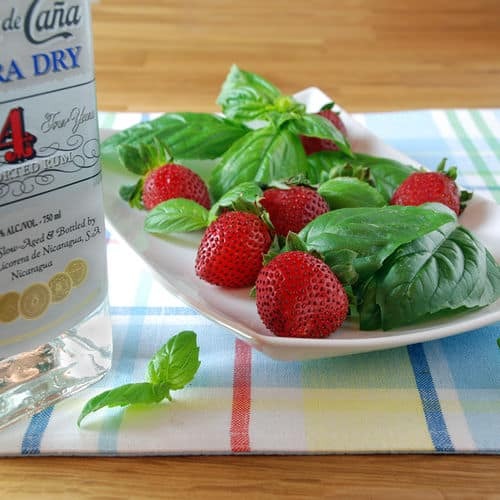 If you would like more information about the modernist techniques, ingredients, and equipment used in the strawberry basil infused rum recipe you can check out the following. Preheat a water bath to 131°F (55.0°C). Coarsely chop the strawberries and basil. 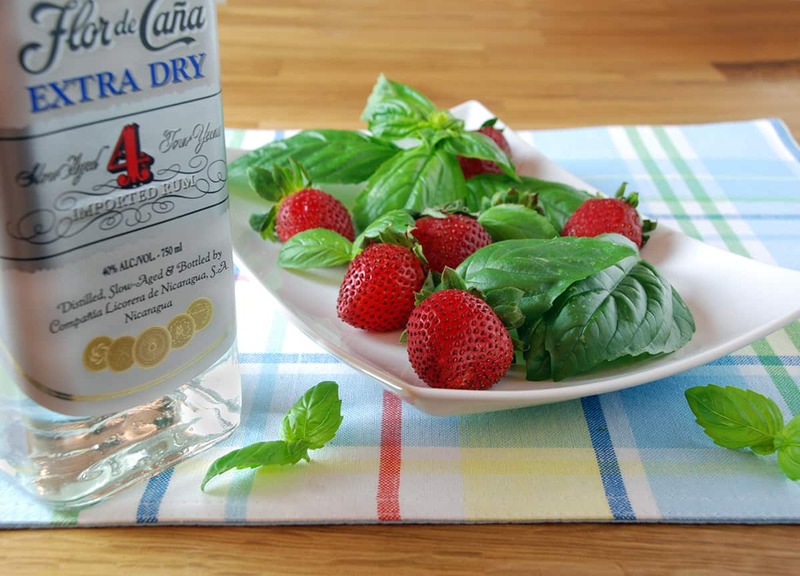 Combine the strawberries, basil, and rum in a sous vide bag or Mason jar then seal and place in the water bath. Heat the infusion for 1 to 3 hours. Prepare an ice bath with 1/2 ice and 1/2 water. Remove the bag or Mason jar from the water bath and place in the ice bath for 15 to 20 minutes. Strain the rum and store in a sealed container. This infusion always reminds me of eating ripe strawberries and relaxing on the deck. With the basil adding a nice hint of spice to the rum infusion, it goes great in a mojito, rum punch and a fizz.